Built 1891 on the site of a previous theatre ("Teatro de Variaded", built 1872, demolished in 1887). 1985 declared a protected monument. Nevertheless, demolished in 1991 in favour of a car park building. 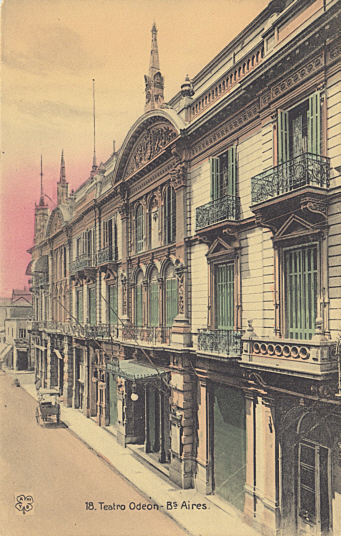 Front Text: "Teatro Odeon - Bs. Aires"